Bananas, such a wonderful fruit. 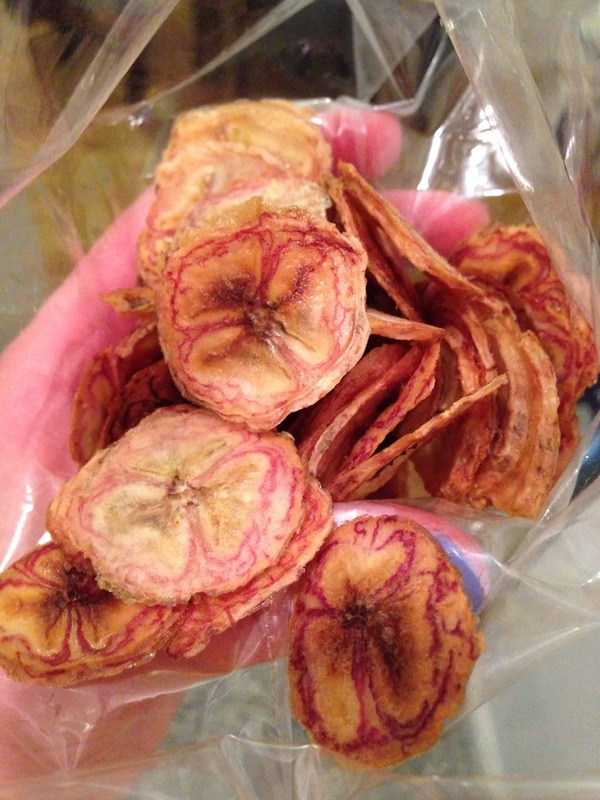 They are delicious, a great snack, fun to bake with, and are cheap! 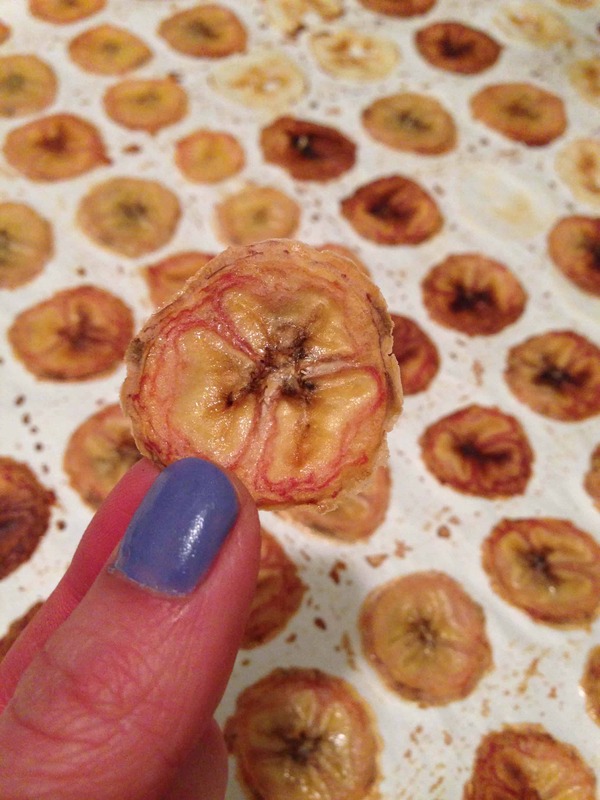 I am always looking for new recipes for bananas, and when a cupcake recipe of mine called for banana chips, I decided to make my own. It’s actually incredibly easy, they just take a while to cook down. They make a tasty snack, or garnish. Slice the bananas very thin (about 1/8?). Place slices on a baking sheet, lined with parchment paper. Mix together the lemon juice, water, and salt, and brush over the banana slices. 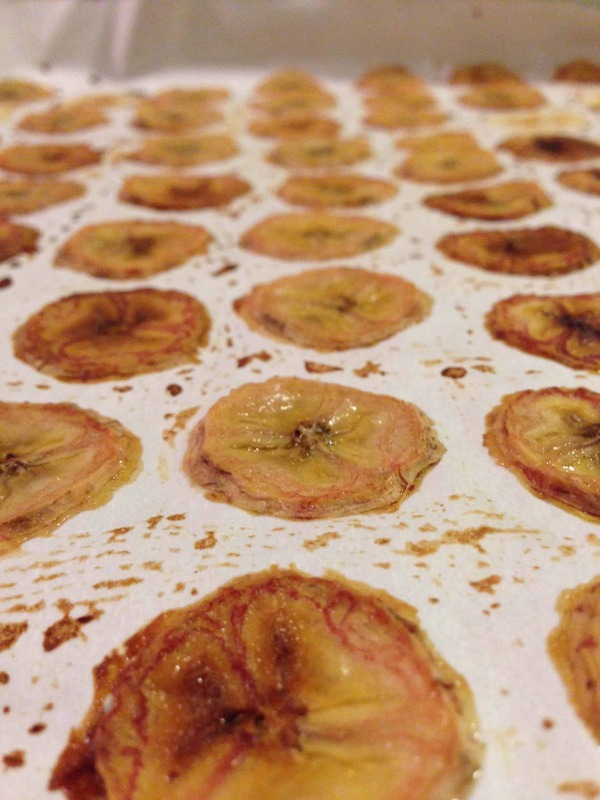 This coating will give the banana slices a crisp, “chip” texture. Bake at 250 for approximately 1 1/2 hours, flipping the banana chips over halfway through. The long baking time is necessary, because at this temperature, the oven will act more as a dehydrator than an oven. Baking times will vary depending on how thick you slice your bananas, and how crispy you prefer your banana chips to be. Keep an eye on them, and remove them from the oven when they are crisp.